Age, genetics, and environmental factors can all come together to rob your skin of the youthful glow it once had. However, that doesn’t mean that you just have to sit back and let the wrinkles have their way. 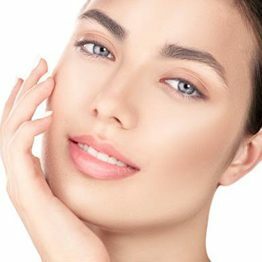 Botox in Scripps Ranch may be able to fight those unsightly lines and help you recapture your confidence. Because dentists are intimately familiar with the orofacial structures, choosing Dr. Friedman and the team at Mod Squad Dental to administer your Botox is a wise choice. Botox is the brand name for a specific variety of botulinum toxin. Although the word “toxin” can be a little scary, this treatment is quite safe if it is injected by someone with the proper training. Botox works by paralyzing facial muscles, preventing unnecessary movement and giving the appearance of smoother skin. Many people use Botox to fight wrinkles between their eyebrows, but it can also be used to get rid of horizontal forehead lines as well as wrinkles around the mouth and at the corners of the eyes (crow’s feet). It can even give the appearance of fuller, plumper lips. In addition to its cosmetic purposes, Botox has a number of medical applications. For example, it has been shown to be effective in treating frequent migraines and in lessening the symptoms of TMJ disorder. Most individuals who have wrinkles that they want to get rid of are candidates for Botox. When you visit us for your consultation, we’ll ask you questions about what you want to accomplish and then let you know whether Botox is a fit for your situation. Keep in mind, however, that there are a few groups of people who should not receive Botox. For example, pregnant and breastfeeding women, as well as individuals with a neuromuscular disease (such as ALS or Lambert-Eaton syndrome) should not undergo this treatment. You should also exercise caution if you have diabetes; Botox may be safe for you only if your condition is well-managed. Your initial treatment session should be fairly short, perhaps 15 – 30 minutes. We’ll simply use a fine needle to inject the Botox directly into the target muscles. It may be a tad uncomfortable, but it shouldn’t be painful. There might be some redness and swelling around the injection site, but that usually go away within minutes. Mild bruising is another possible side effect. Within one to two weeks, you should begin to see positive results from your injections. You can expect your new, smoother appearance to last for roughly three to six months before you need to come in for another treatment session. Subsequent treatments may last even longer than the initial one. Are you ready to discover what Botox can do for you? Contact us to learn more about how this treatment may be able to fight wrinkles, turn back the clock, and give you back your youthful confidence.